47853 Rail Express, 1Z41, Hednesford, 14 April 2007 - 0834. Because of OHLE problems at Penkridge, the tour was diverted via Rugeley and Cannock. 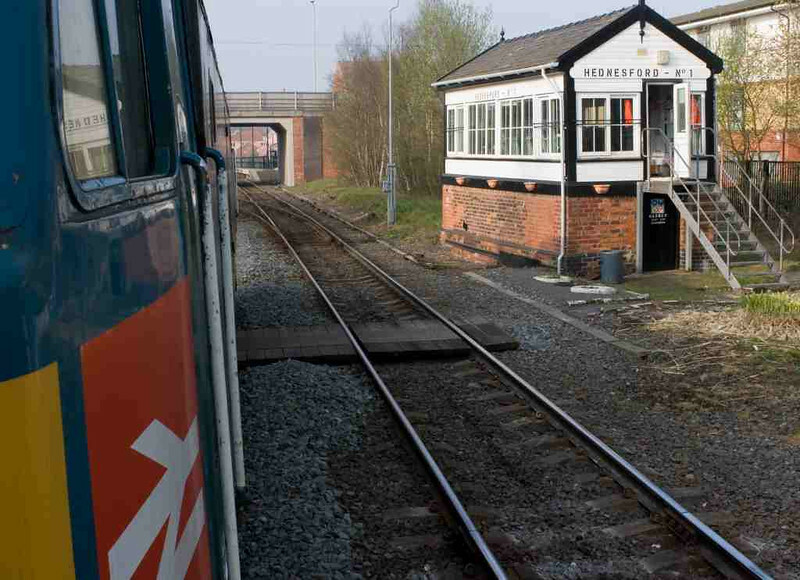 It is seen waiting for signals at Hednesford No 1 Box.